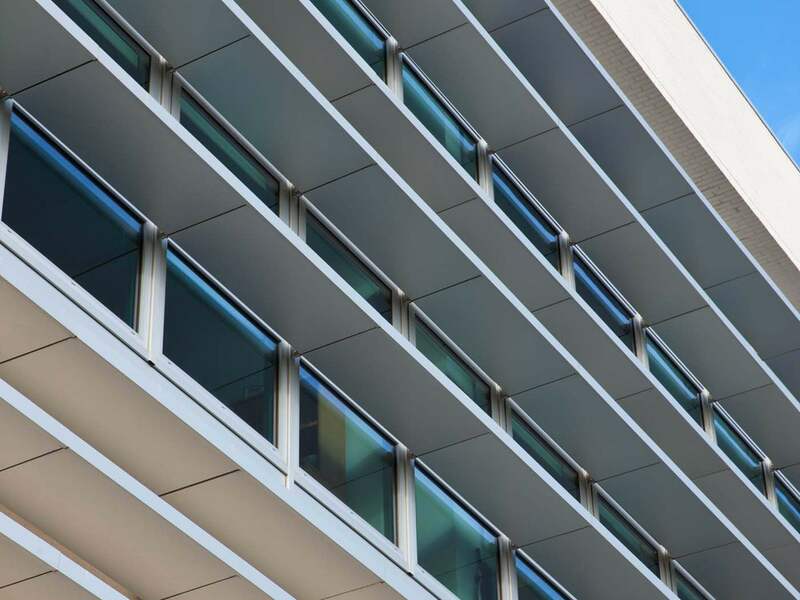 Metalline have been producing a wide range of architectural aluminium pressings for over 20 years and have extensive experience in producing bespoke products to your exact specification. 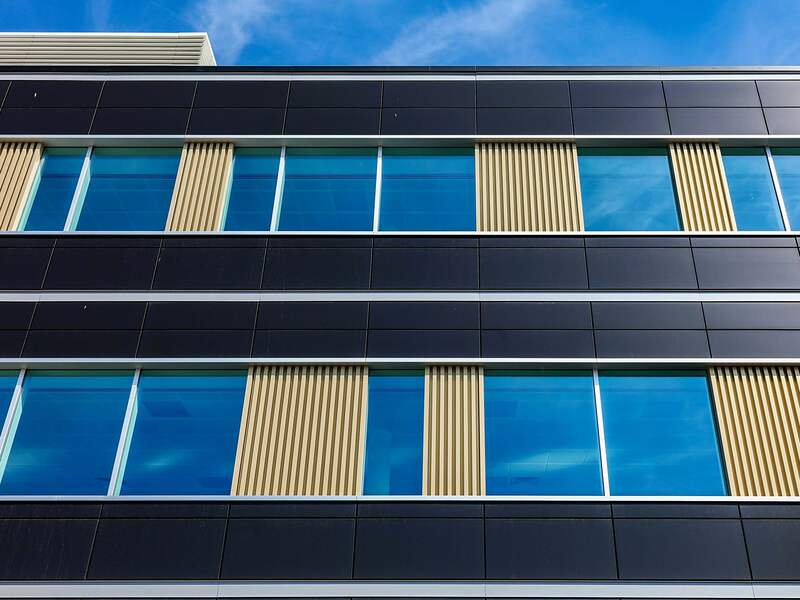 Cills, fins & pressings are integral to every buildings fascia and the intricate detail and design requirements are often overlooked. At Metalline we have a back catalogue of extensive designs and drawings to help specifiers and designers achieve the finish they require. 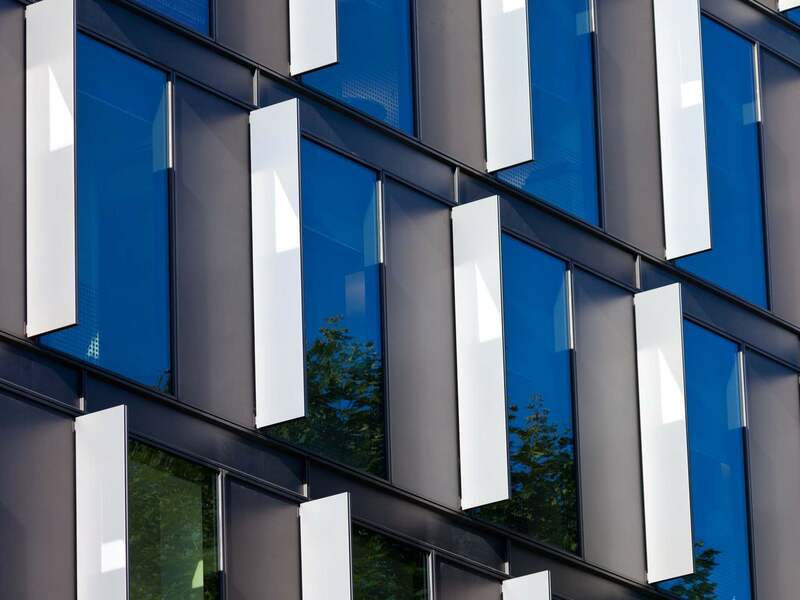 Metalline offer a range of bespoke products including window pods, cruciforms, window fins and bird beak panels to add a certain aesthetic appeal to the external envelope of a building. 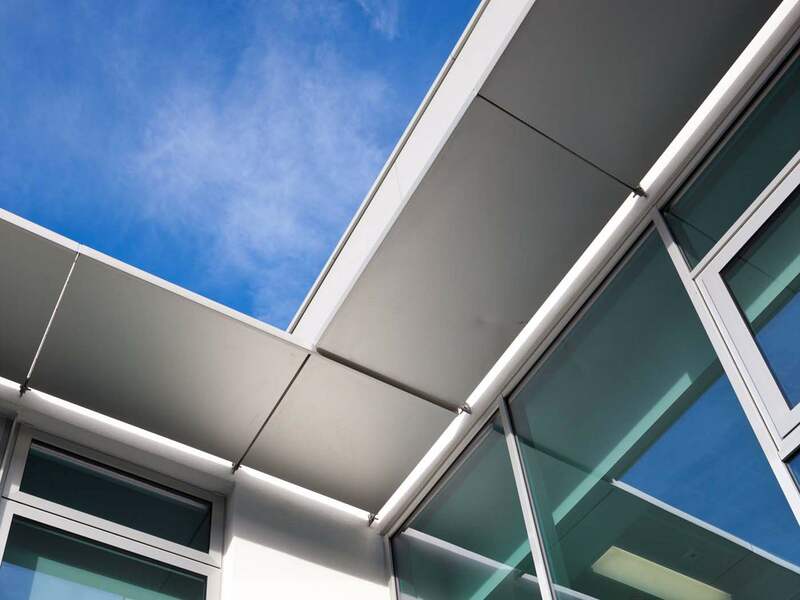 Internal parts of the building can also benefit from our wide range of fabricated panels and aluminium pressings to enhance areas such as stairwells and escalators. 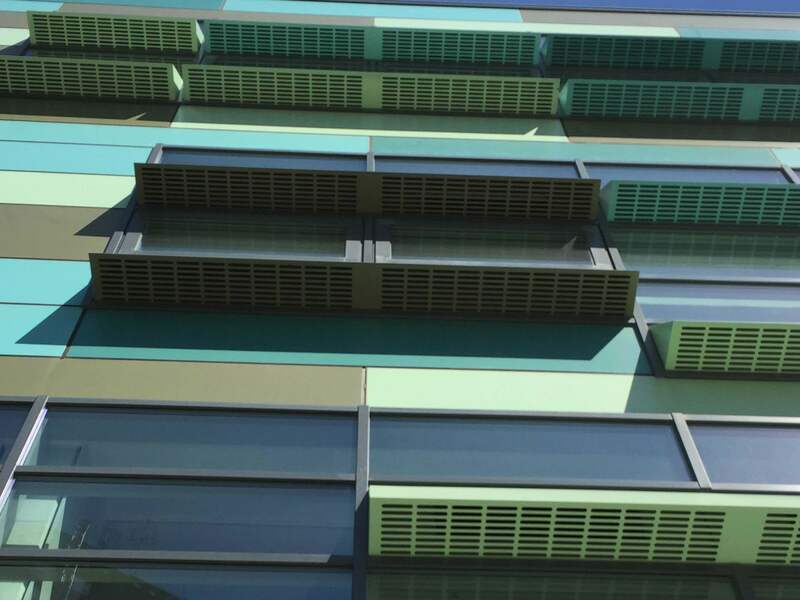 All products are available in either anodised or polyester powder coated finish. If you are interested in cills, fins & general pressings contact us today on sales@metalline.co.uk or 01543 456 930. The following projects included the cills, fins & general pressings. 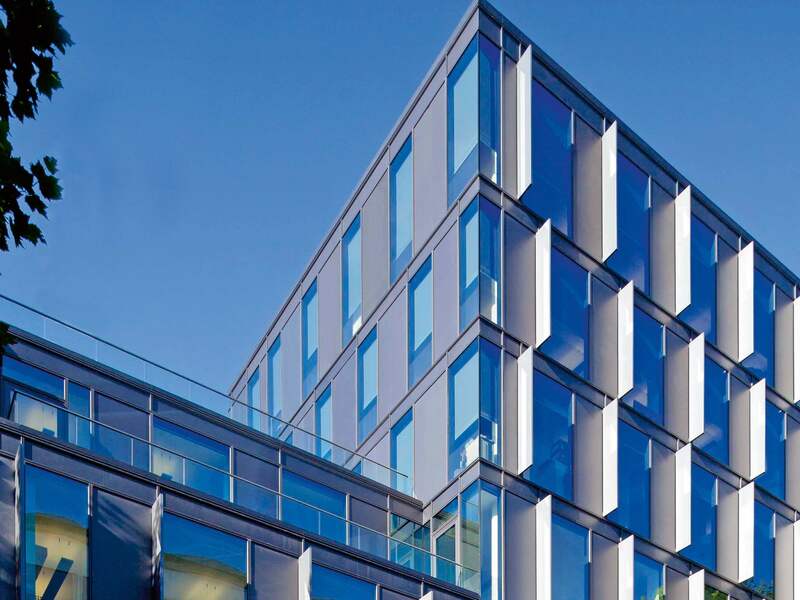 Number One Valentine Place is a new grade A office building and winner of the 2013 New London Architectural Award for an office building. 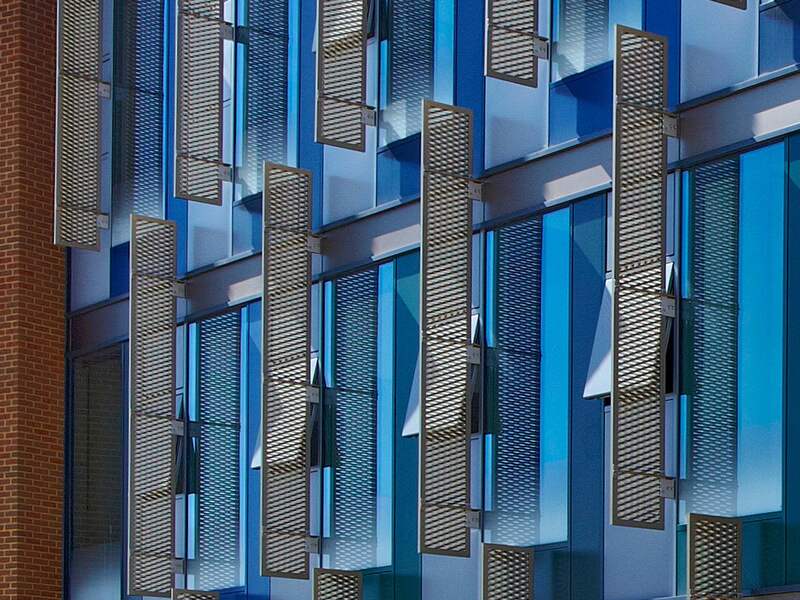 The external façade of the property features a range of aluminium pressings, insulated glazing panels and Feature Beam, Metalline’s renowned aluminium beam, and some fifty aluminium fins specifically designed to offer solar shading for the building’s south facing position. 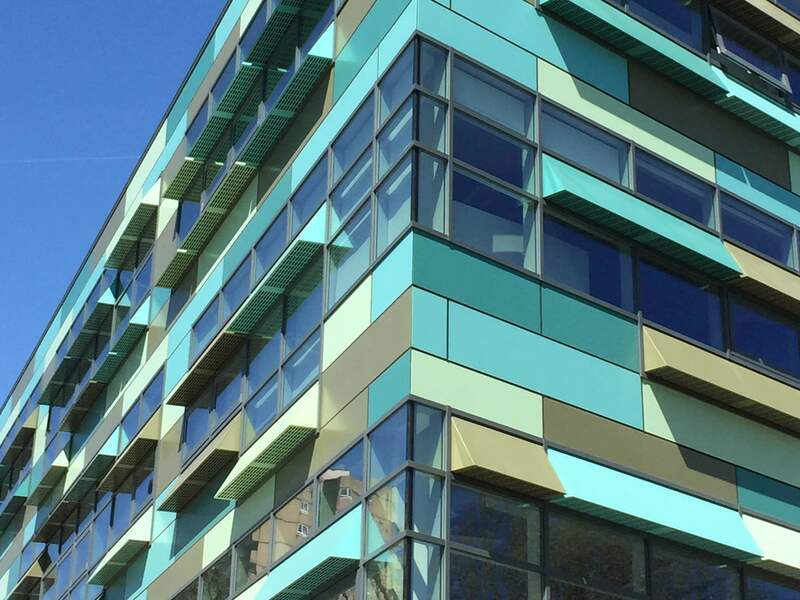 All pressings and panels were finished in a specialist blue grey anodised finish where Metalline’s superior application and expertise are becoming renowned with architects and contractors throughout the UK.